In the July 2015 issue of the JCI, Permar et al. take a closer look at humoral immune responses in mother-to-child transmission (MTCT) of HIV-1. The authors found that antibody response to the third variable loop (V3) of the Env gp120 protein strongly correlated with reduced MTCT in a cohort of untreated HIV-1–infected women. Their work also suggests neutralization of easy-to-neutralize HIV-1 viruses may predict lower transmission risk. The authors further demonstrated that autologous V3-specific monoclonal antibodies isolated from an HIV-1–infected mother can exert selection pressure on autologous HIV-1 Env pseudoviruses. These findings suggest that developing strategies to boost the maternal immune response to the V3 region of Env might further reduce MTCT of HIV-1. In this interview, we took the opportunity to speak with Sallie Permar about these findings and her accelerated and nontraditional path to becoming a junior faculty member. What motivated you to pursue research in vaccines? Growing up in North Carolina, I had not traveled much outside of this area and felt a need to go see the world. I decided to pursue a summer internship at a rural mission hospital in the Western Province of Zambia, in a town called Mwandi, during the peak of the AIDS epidemic in the late ’90s. I was struck by how you could feel the impact of the epidemic everywhere you went in just this one village. There were a lot of children around, but there was an absence of a middle generation. The grandparents were now the parents to those children. Much of that middle generation was suffering from AIDS. In addition, the hospital was full of patients with tuberculosis and other opportunistic infections, with little to no treatment available. It was really striking to me that this epidemic could take such a grasp in a place that did not have the infrastructure to deal with it. On top of the AIDS epidemic, there was a coexisting measles outbreak occurring in the village. To me, that was the final straw. How could a place already dealing with an epidemic of epic proportions now have to deal with a measles outbreak that should be completely preventable? It was at this moment that I knew I wanted to commit my life to working on infectious disease problems that are preventing places like Mwandi from getting out of poverty. How did you identify the targets to boost the immune system to reduce HIV MTCT? The HIV RV144 vaccine trial was the first time any vaccine to date had been shown to have some efficacy (∼30%) at preventing HIV. From this study, Barton Haynes led the initial work defining the immune responses that differentiated those who were vaccinated and became infected versus those who did not get infected. They identified an antibody response against a particular region of the HIV-1 vaccine that seemed to be associated with reduced virus acquisition. The next question we had is whether those same types of antibody responses also played a role in MTCT. In this context, it is clear that there is some natural protection against MTCT, as even in the absence of antiretroviral drugs, less than a quarter of infants will become infected despite chronic HIV exposure in utero, at delivery, and during breastfeeding. Thus, we designed a study similar to that applied in the RV144 vaccine trial to identify a particular type of antibody response that might be associated with MTCT. Despite several previous studies that asked this same question, we were able to measure a host of HIV envelope–specific antibody responses using the most up-to-date technology, including those antibody responses identified as potentially protective in the RV144 vaccine trial. We were also able to draw on years of the research that has identified non–immunologically based risk factors of MTCT — such as maternal antiretroviral drug use, maternal viral load, maternal CD4+ T cells, gestational age of the infant, and mode of delivery for the infant — to design a study that aimed to isolate the impact of the maternal immune responses on transmission outcome. During the start of the HIV epidemic in the ’90s, the NIH initiated an observational study of HIV-infected pregnant women and followed them and their infants through pregnancy and after delivery. Three to four years ago, the NIH released those samples to the public research community, giving us access to a highly unique cohort from very early in the epidemic before there was any antiretroviral medication available. This gave us the ability to ask how the immune system may impact transmission in the absence of antiretrovirals. All of these factors together allowed us to design a study with enough power to answer the question, What is the role of maternal antibody response and protection against transmission? What do you think is the next step for this research, or the next challenges in moving this research forward? This was very much a collaborative group effort from laboratories at the Duke Human Vaccine Institute. The culmination of all this work was the statisticians revealing to the scientists involved that, in fact, there was an identified set of immune responses associated with reduced HIV transmission. Surprisingly, they were not the antibody responses that we had traditionally thought were associated with reduced risk of transmission. Instead of an antibody response against variable loop 1 and 2 (V1V2) of the HIV envelope, which was associated with reduced transmission in the RV144 vaccine trial, we found it was actually the antibody response against V3 of the virus envelope that had the greatest association with reduced risk of transmission. We also unexpectedly found that induction of weakly neutralizing antibody responses against viruses that are known to be very easy to neutralize (essentially lab-adapted type strains of HIV) was associated with reduced risk of transmission, whereas antibody responses against more difficult to neutralize viruses that are circulating in the community were not associated with reduced transmission. These are the types of neutralizing antibody responses that can be elicited through vaccination with current experimental HIV vaccine candidates, yet were previously thought to be inconsequential in virus transmission. Our findings are exciting because it means we may be able to use experimental vaccines that we currently have in hand to induce the types of antibody responses that reduce the chances that a mother will transmit the virus to her infant. How did you pursue your PhD at Johns Hopkins and your MD at Harvard simultaneously? It is not common for people to pursue these two degrees together, much less at two different institutions in different cities in a span of six years! That was not so straightforward, but I owe credit to my mentors for making it happen. I started out pursuing a PhD in microbiology and immunology at the Johns Hopkins School of Public Health because I wanted to go into vaccines and make an impact in global health and infectious disease. While at Johns Hopkins, I saw the pediatric infectious disease fellows working in the laboratory and then going to the hospital to see some of the diseases that they were working on in the laboratory. It was that exposure that inspired me to pursue medicine as well as training in microbiology and immunology. I went to my mentor, Diane Griffin, who luckily herself is an MD/PhD. Instead of discouraging me from even trying to pursue medical school in the middle of a PhD, she immediately gave me the support and time I needed to take my MCAT and to go to med school interviews. At the time, I was hoping to be admitted to Johns Hopkins to make life simpler. Sadly, I was not accepted to Johns Hopkins but was admitted at Harvard Medical School. When I went back to my PhD mentor, I asked if I should just get my master’s and go on to medical school. She was adamant in encouraging me to finish my PhD, saying that having both an MD and PhD would ultimately allow me to pursue the type of work that I was most interested in. She went the extra mile by finding me a mentor, Norman Letvin, discoverer of HIV and developer of the non–human primate model of AIDS, in Boston where I could continue my thesis research. He agreed without hesitation! I spent almost all of my spare time during medical school in the lab. The afternoons that most people were studying, I was in the lab. At the holidays, I would drive down to Baltimore on my way home to North Carolina and have my committee meetings. I was also lucky to be able to take advantage of the NIH Loan Repayment Program, since I had to pay for my medical school and did not have MSTP [Medical Scientist Training Program] support. I believe we should seriously consider training more people in a PhD-to-MD route. It’s a provocative thought, but if it worked for me, it could work for others. We need a new pipeline for enticing physician-scientists. What do you think were the biggest challenges to becoming an independent physician-investigator? This is a really tough career that we are asking scientists to take on. Academic medical centers have become more limited in their research funding due to the NIH dollar not stretching as far as it used to and changes in clinical revenue flow. Thus, department chairs do not necessarily have the discretionary funds to hire individuals quickly out of completion of clinical/research training anymore. Your ability to stay on as a faculty member where you finished your clinical or research training is no longer as certain as it once was. One challenge specific to physician-scientists is the ability to generate enough of a body of fundable research during clinical training. As an MD/PhD, you initially spend several years in PhD research, then leave the research world for 4+ years to pursue clinical training, and you come back to research with less than two years remaining in protected fellowship time. At this point, you have a very short window to make that next jump to independence. In general, we should be thinking about better integrating research earlier in clinical training — whether it is a case series or a chart review on a disease you are interested in, something that you can sink your teeth into that could create a body of work that drives you back to the laboratory, and spark your interest in translational science. I believe that I was successful because I was able to integrate research with my clinical training from the very beginning. Through these integrated research experiences, I had built a body of work that I could draw on to write grants, which helped me cross the divide seamlessly. Sallie Permar, MD, PhD, received her PhD in immunology from Johns Hopkins University and MD from Harvard Medical School. She completed her pediatrics residency in 2007 and her pediatric infectious disease fellowship in 2010. 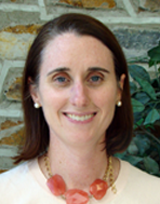 She is currently an Associate Professor of Pediatrics at Duke University School of Medicine. Citation Information: J Clin Invest. 2015;125(7):2702-2706. https://doi.org/10.1172/JCI81593. Despite the wide availability of antiretroviral drugs, more than 250,000 infants are vertically infected with HIV-1 annually, emphasizing the need for additional interventions to eliminate pediatric HIV-1 infections. Here, we aimed to define humoral immune correlates of risk of mother-to-child transmission (MTCT) of HIV-1, including responses associated with protection in the RV144 vaccine trial. Eighty-three untreated, HIV-1–transmitting mothers and 165 propensity score–matched nontransmitting mothers were selected from the Women and Infants Transmission Study (WITS) of US nonbreastfeeding, HIV-1–infected mothers. In a multivariable logistic regression model, the magnitude of the maternal IgG responses specific for the third variable loop (V3) of the HIV-1 envelope was predictive of a reduced risk of MTCT. Neutralizing Ab responses against easy-to-neutralize (tier 1) HIV-1 strains also predicted a reduced risk of peripartum transmission in secondary analyses. Moreover, recombinant maternal V3–specific IgG mAbs mediated neutralization of autologous HIV-1 isolates. Thus, common V3-specific Ab responses in maternal plasma predicted a reduced risk of MTCT and mediated autologous virus neutralization, suggesting that boosting these maternal Ab responses may further reduce HIV-1 MTCT.